Vancouver is a coastal metropolis in the western Canadian region of British Columbia, known for its green initiatives, cultural diversity and amazing quality of life. City slickers, nature lovers and beach bums will all find something to suit their travel tastes in Vancouver. The urban sprawl of downtown is a foodie heaven, with access to every cuisine your heart could desire as well as all the Canadian classics (I’m pretty sure eating poutine at least once a day is a tourist requirement). You’ll also find great museums, quirky bars and plenty of breweries for all you craft beer connoisseurs. Take the SkyTrain out of the city to discover stunning natural landscapes – this is Canada after all! Pack your hiking boots if you want to tackle some of the stunning, leafy trails of Metro Vancouver. If you visit in summer, you’ll even be able to enjoy the city’s many beaches. Canada isn’t exactly known as a beach destination, but Vancouver temperatures have been known to reach 30 degrees in July-August! When it comes to hostels, Vancouver opts for quality over quantity. The city doesn’t have a huge amount, but hey, when they’re this good why would you need any more? Read on to discover how to find the best hostels in Vancouver! Solo travellers love the daily activities put on by the awesome staff at this hostel and they say it’s the perfect place in Vancouver to connect with other backpackers. There are events every night in their Beaver Bar, where you can also enjoy a generous happy hour and Samesun’s almost-famous Korean fries. When you decide to venture out, you’re just steps away from the Granville Entertainment District, Vancouver’s premier nightlife spot where backpackers and locals party the night away. Don’t worry about disturbing your roomies at the end of the night – the capsule style beds mean that solo travellers get the social aspect of staying in a dorm with plenty of privacy too. Win win! Book your stay at Samesun Vancouver! This hostel is located in a beautiful residential neighbourhood in the West End. Its spacious double rooms with en suite bathrooms are perfect for couples who want a quieter stay without missing out on the action. As well as having a games room, communal library and sun-soaked (sometimes) outdoor patio, HI Vancouver Downtown also offers award-winning activities and tours of the city. Their complimentary breakfast served every day also goes down a treat – get there early to make sure you don’t miss out on freshly baked muffins! Book your stay at HI Vancouver Downtown! HI Vancouver Central serve their all you can eat breakfast for free, because in their words ‘you’ve got better places to spend that money – like on beer’! Our guests describe this hostel’s atmosphere as ‘insane’, ‘sociable’ and ‘fun’. Located in the heart of Granville Street’s pub and club district, it’s safe to say that you’ll never struggle to find a drinking buddy here – especially if you tag along to one of the hostel’s legendary pub crawls! It’s also reassuring to know that they take safety as seriously as they do partying, with 24-hour security, lockers that fit backpacks and key-card room access. Book your stay at HI Vancouver Central! Budget-friendly private rooms are this hostel’s forte. Here you can stay in the heart of Downtown Vancouver’s entertainment scene, enjoying a lively hostel experience without having to give up the luxury of your own space. Each room is clean, spacious and has its own vanity area and mini-fridge. Staying here will also give you access to their state-of-the-art fitness centre – which might be appreciated if you’ve grown accustomed to smothering everything in maple syrup. You can also rest assured that the money from your booking will go towards a worthy cause – helping vulnerable single mothers and young families. Book your stay at YWCA Hotel! Cambie Hostel is in the heart of Downtown Vancouver, surrounded by popular attractions, bars and great food spots. The hostel is small but has several busy common areas, so you won’t have a problem meeting other travellers. There’s a bar downstairs that’s open late and shows live sports from around the world, as well as a Mexican grill – did someone say tacos and tequila? Perhaps the star of the hostel though is its furry, friendly Cambie cat! Often found snoozing in the chill room, she’s always up for a cuddle and is a certified curer of homesickness. Book your stay at Cambie Hostel! Feeling inspired? Or maybe you’ve stayed in one of these awesome Vancouver hostels before? Let us know below in the comments! 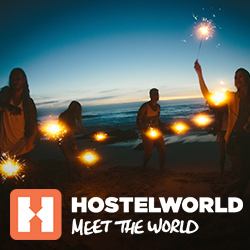 The post The 5 best hostels in Vancouver for 2018 appeared first on Hostelworld Blog.